Since moving into our new home nearly 18 months ago, I’ve been enjoying turning it into a home that we love. 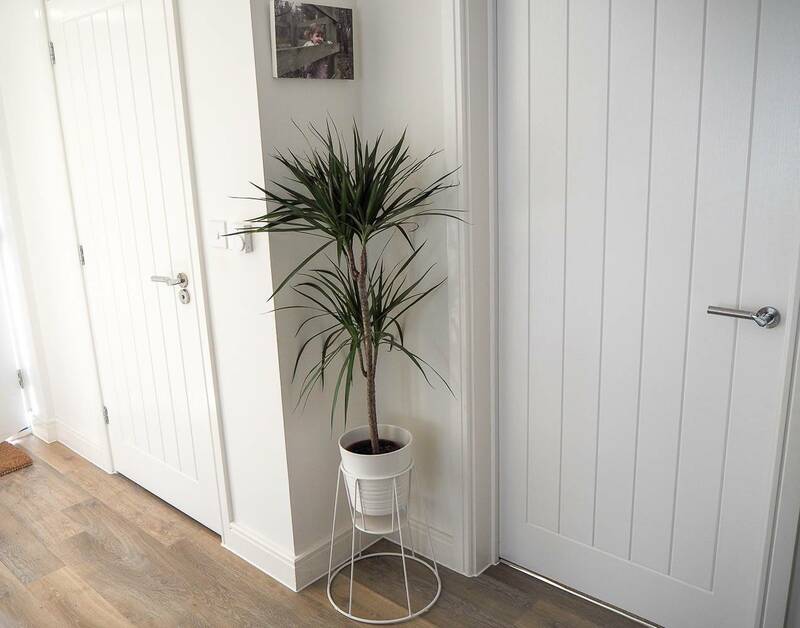 I love taking my time to find the right accessories for each room and whilst I know that I drive Andy mad at times, he does always appreciate it when the rooms are finished. 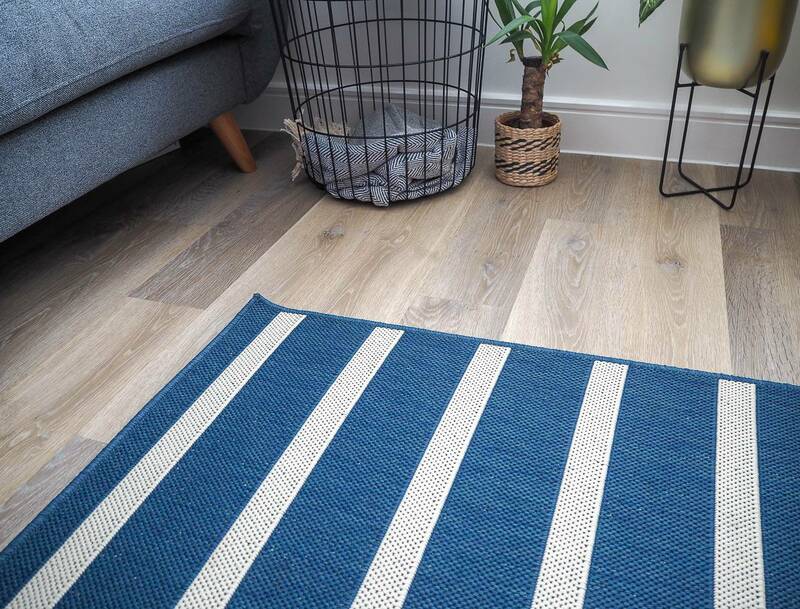 Recently QVCUK.com got in touch and wanted to help me bring some style to our home. It’s not somewhere I had shopped before and I was surprised to see so many different brands and styles. The style that immediately stood out for me is a range that Amanda Holden has designed called Bundleberry. Her style is exactly what I love and I was spoilt for choice in what to choose. What pleasantly surprised me was how affordable her range was. We have a dinning room and family area which I’ve been slowly changing. I recently brought a new dining room table and unit for this area and now I’m at the stage of adding all the little details to finish the room. What I felt was missing from the room, was a rug. 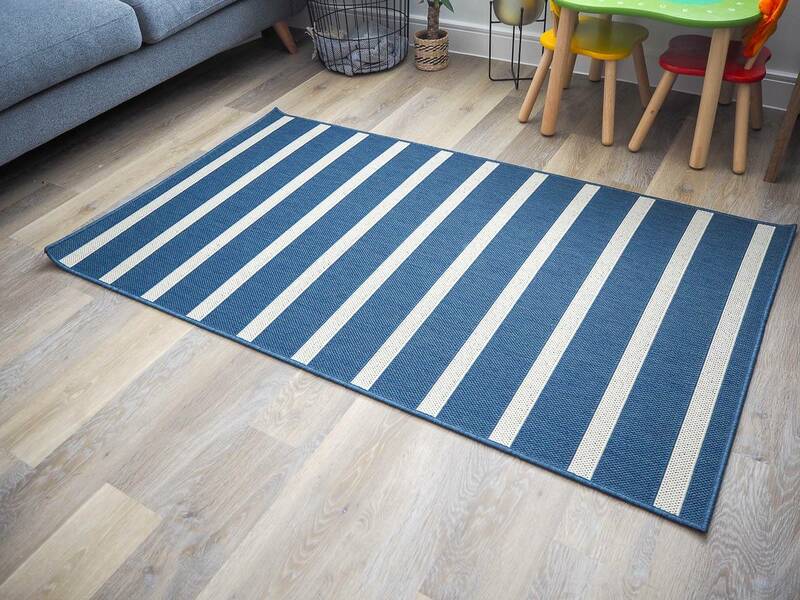 I just love a rug, I find it really adds some colour and texture to the room and for me it is the finishing touch. But because of how we use this room, I didn’t want a fluffy rug and to be honest I didn’t really know what I wanted until I saw it. 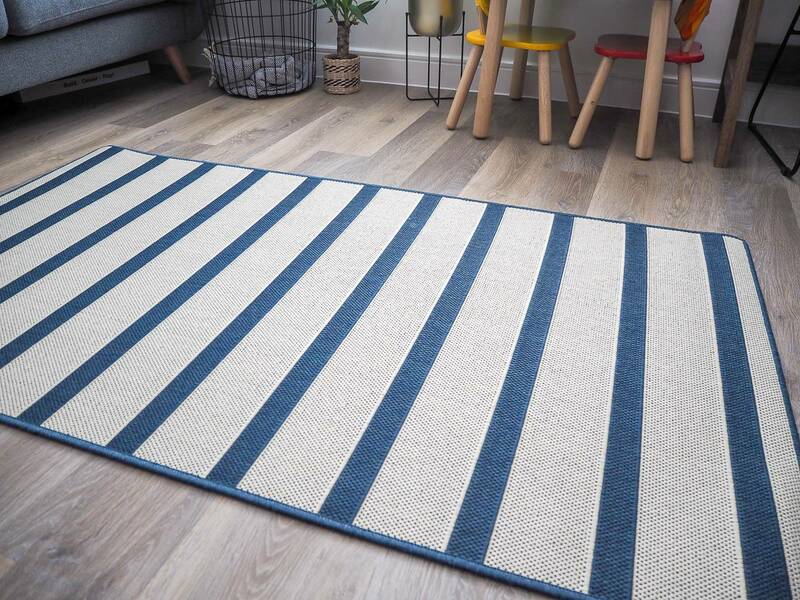 Amanda Holden has designed the exact rug that I needed and there are 2 things that I love about it. Actually there are 3 things I love about it. Firstly, I love that it is the perfect blue to match the theme of my room and it is exactly what I’ve had in mind for this space. 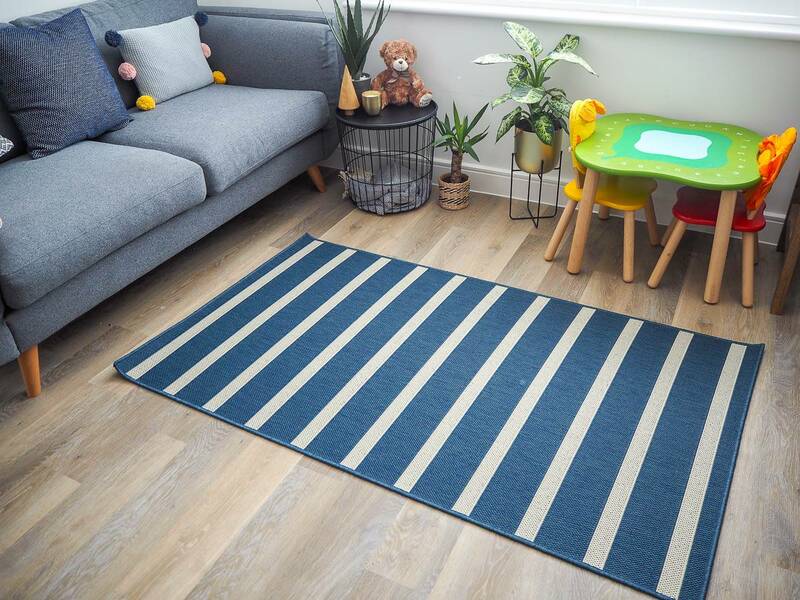 The texture of it makes it hard wearing, its add some colour to the space and it fits perfectly. Secondly, you can use it both indoor and outdoors. Yes, we could use it outside on the patio if we wanted to, how cool is that. And thirdly, it’s reversible with a slightly different style on the reverse. Which means if I fancied a change, or the children wrecked it (please don’t let this happens), then I could just turn it over. I love a house plant, I still need to work on keeping them alive, but I still love them. My nan always said that a home should have something living in it at all times and that when we are out, that is the plants! This has stuck with me. 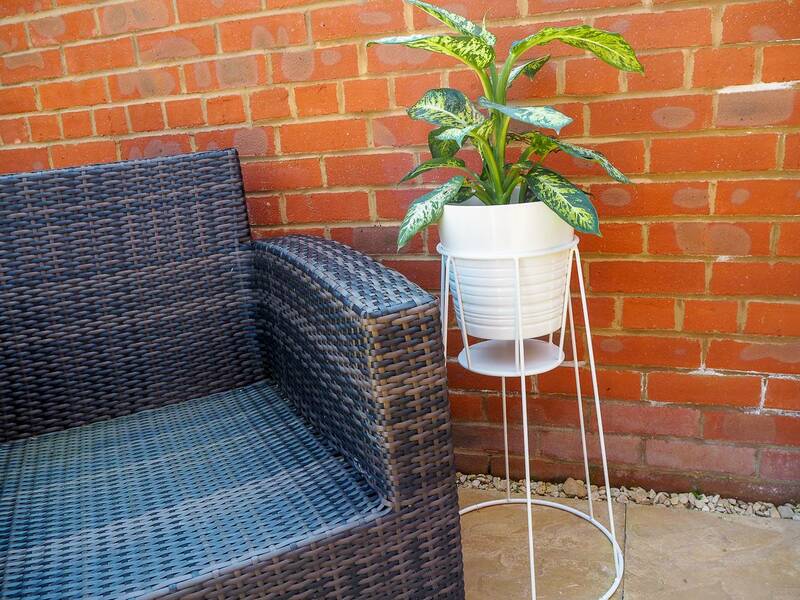 Amanda Holden has designed a set of 2 plant pot holders that can be used both indoor and outdoors. They come in 3 different colours and I choose white. 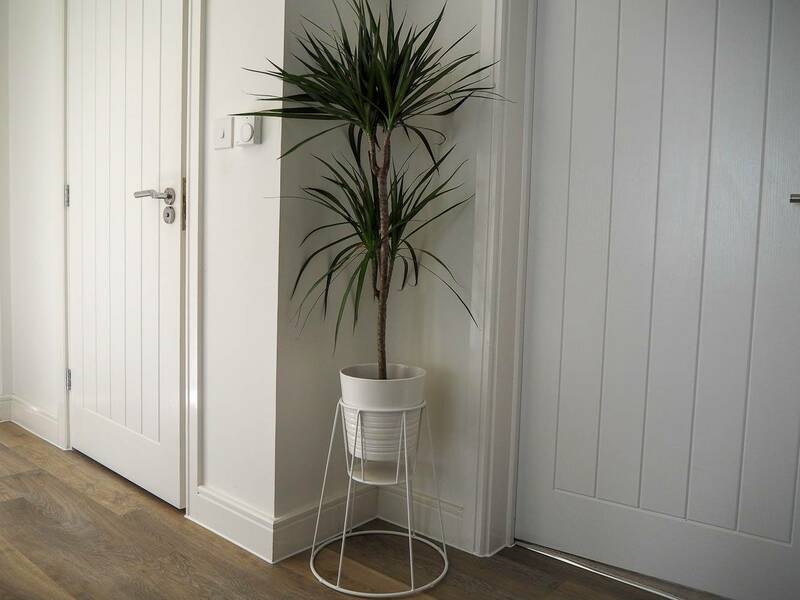 The smaller one I’ve used in our hallway, this corner was crying out for a plant and I love how the plant pot holder as added more detail to it. 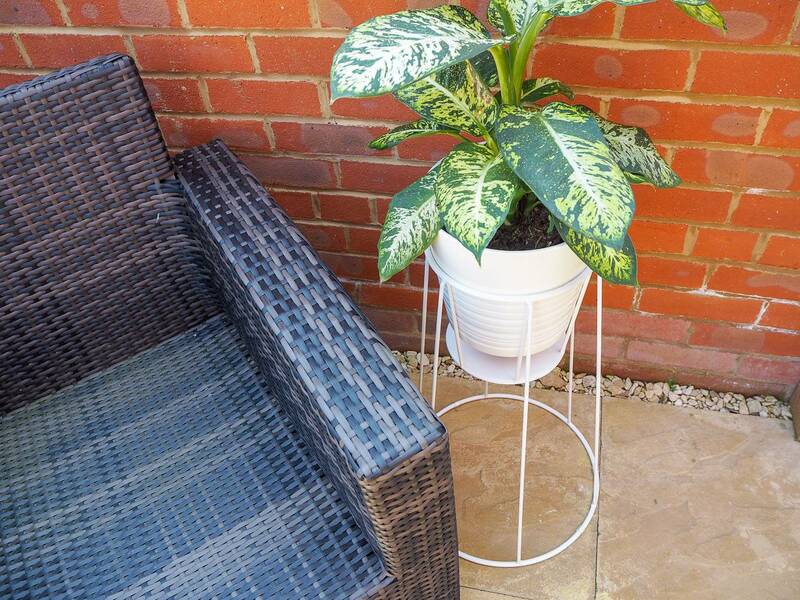 I’m really pleased with how it has made a feature of an otherwise boring plant pot. 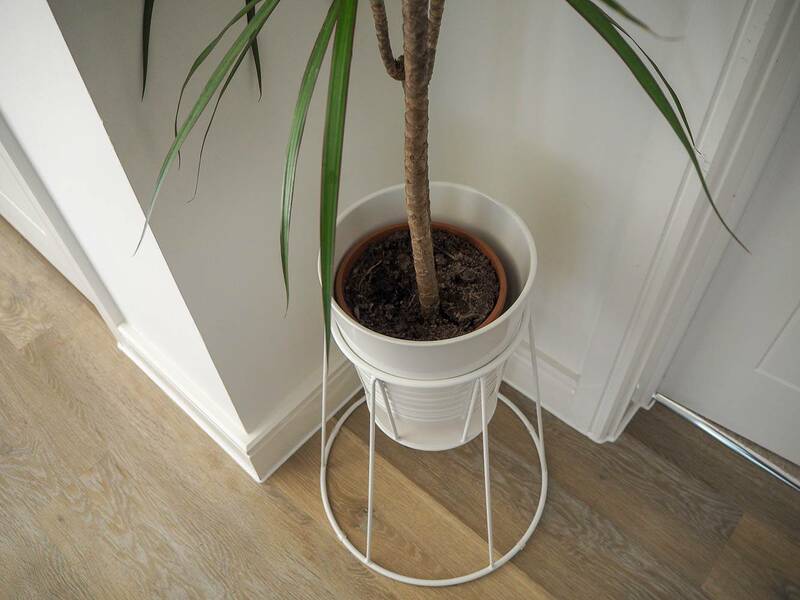 The reason why I choose these plant pot holders is because you can use them indoors and outdoors, it gives you more scope on where to use them. I knew that I wanted to have one outside too. They are really light weight to move around and as the winter months come around, if I decide to bring it back indoors its great to have that choice. I really love these additions to our home, they have transformed the areas they are in and I couldn’t be happier with them. I’m really impressed with the quality and price of the Bundleberry range by Amanda Holden. I will also be adding QVCUK.com to my go to place for interiors. Disclosure: This post is in collaboration with QVCUK. Oh wow I really love the rug, it’s gorgeous. The mainly blue side would fit in so well with my living room!